Does This Photograph Show an Eagle Cloud Over Jerusalem? While pareidolia may explain why we see faces (or birds) in the clouds, it doesn't explain why we post misinformation to social media. 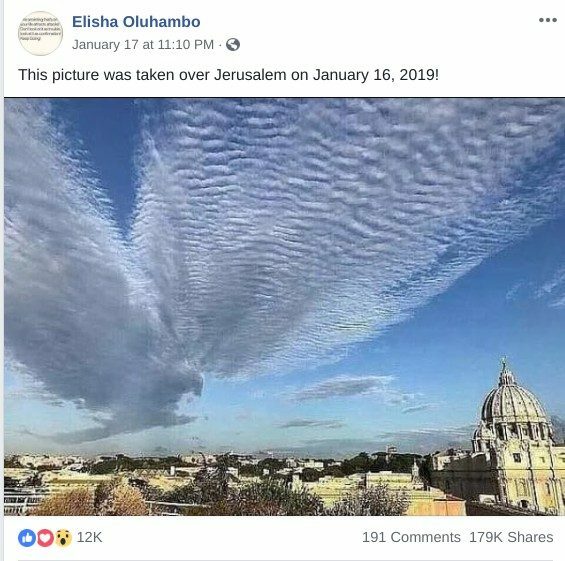 A photograph shows a cloud resembling an eagle over Jerusalem in January 2019. This image, which was shared more than 175,000 times within a week of its initial posting, was already several years old and was not taken in Jerusalem. 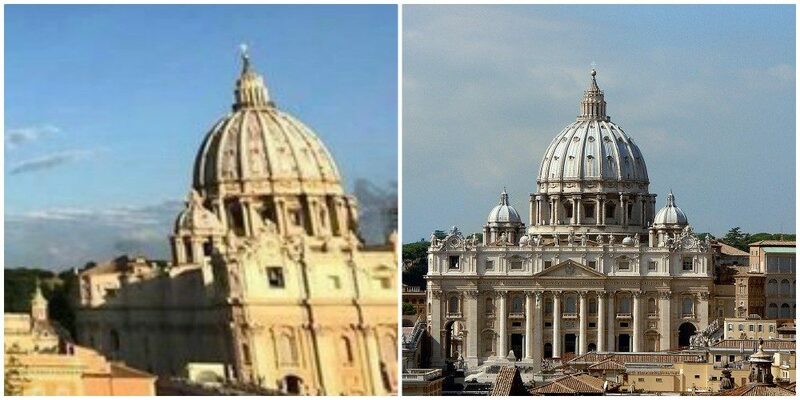 Although we can’t say for certain that the image is 100% authentic, we can note that it’s an example of pareidolia, a psychological phenomenon in which the mind detects a familiar pattern where none exists. In August 2017, this same picture was shared on Reddit as if it showed the sky over Zacatecas, Mexico. That description was also inaccurate.